This exquisite example of early 19th century textile art is as stunning today as when it was new 190 years ago. The warm mellow coloring, more resplendent in person, was difficult to capture in the pictures. 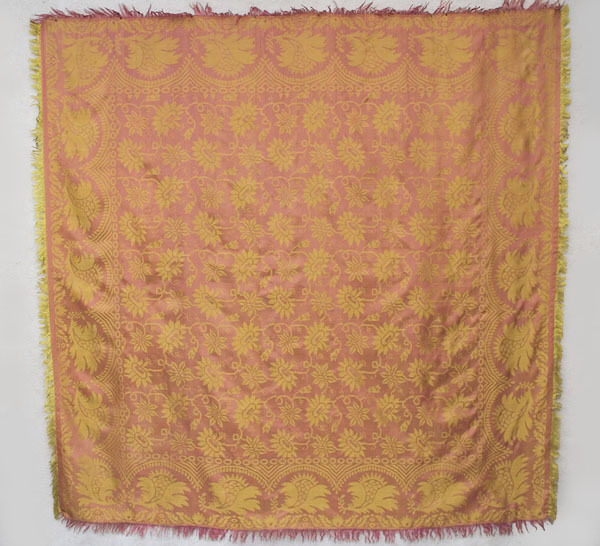 The shifting hue—rose to peach—is elusive, but that is exactly what makes the shawl seem alive with color. 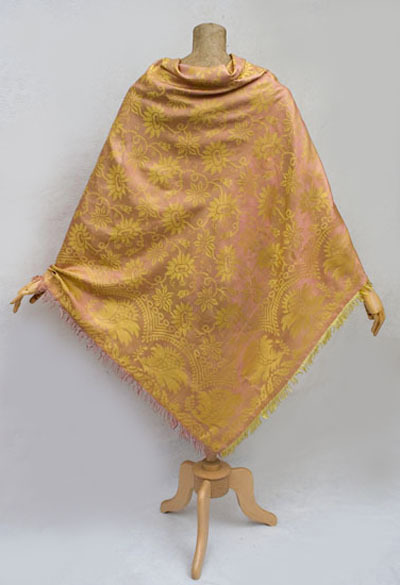 The shawl is reversible with a rose/peach ground on one side and a gold ground on the other. The color is either muted or glowing, depending on the light. 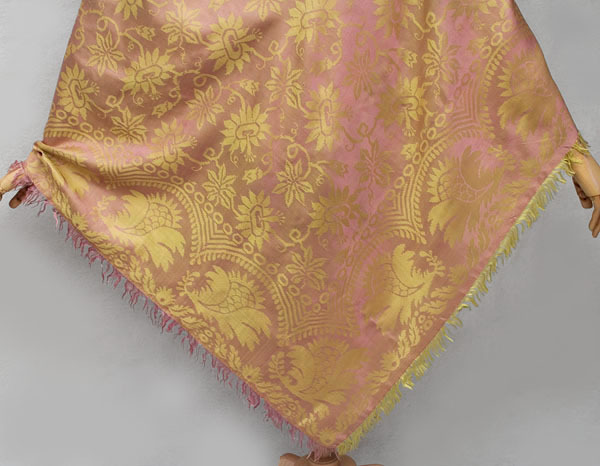 The stylized floral pattern, influenced by Kashmir shawl designs in vogue in the early 19th century, is softened by the pastel coloring. 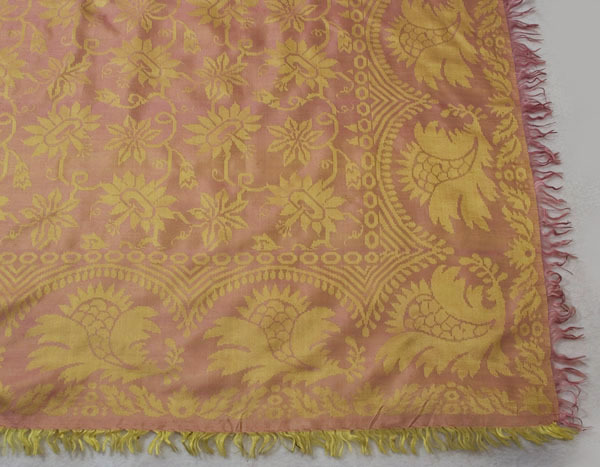 This shawl would add color and drama to a display of white dresses of the period. It can be worn (carefully) or it can be displayed in your home for the aesthetic appreciation of your family and friends. The condition is excellent. 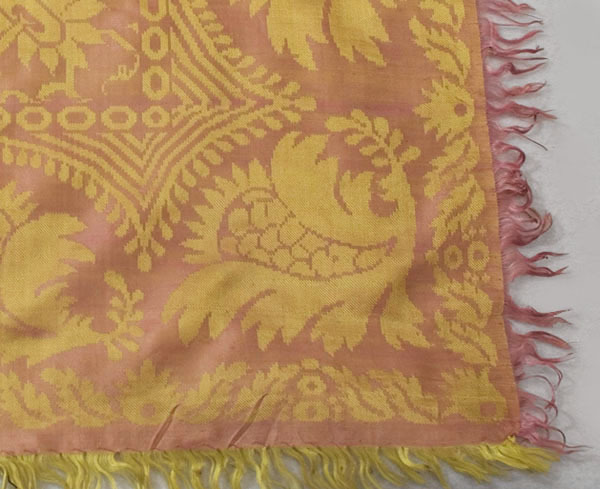 It is a special treat to find an early textile in such pristine condition.